We have a beautiful old style, newly renovated home, conveniently located walking distance from Port road. We are a 10 min drive away from Adelaide CBD. The house is very cozy and warm, and you will have the privacy of an upstairs bedroom. All rooms have individual cooling and heating systems. It's all around an awesome place to live! Please note: Smokers are welcome as long as they are outside of the house, and they cigarette butts are disposed of properly. 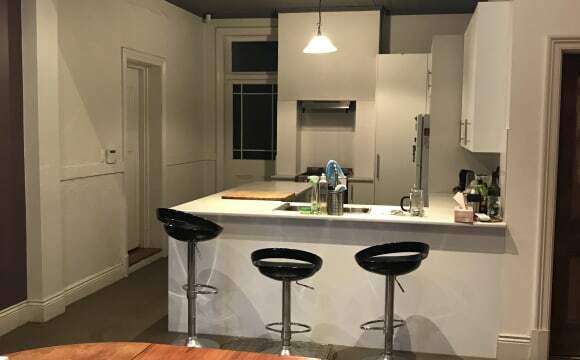 Friendly housemates and excellent location between the city and beach. The budding Master Chef in you will feel right at home in this magnificent kitchen with plenty of cooking and storage space for everyone. 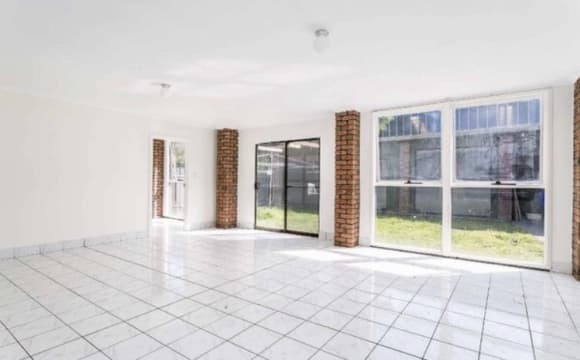 With large, bright common areas, good size front / rear yards - enough room for a game of cricket out the back, or simply enjoy summer with the outdoor entertainment area. The house includes a large dining table, lounge area with widescreen TV, chandelier lighting throughout and high ceilings. 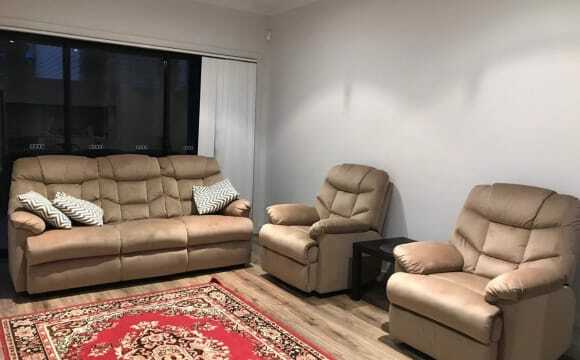 It is located only a short walk to the shops, bars, cafes and restaurants on Henley Beach Road and the nearest bus stop for a quick trip to the city or Henley Beach. 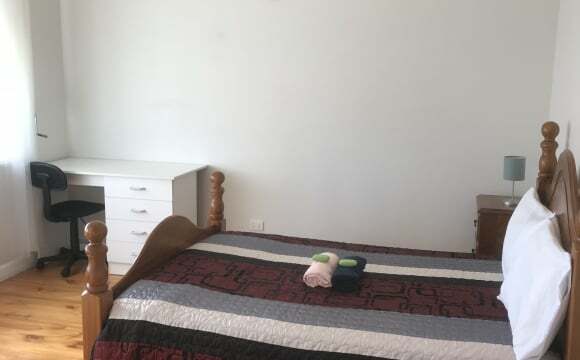 There are many bus routes surrounding the house within a short walk on Henley Beach Road, Marion Road and Ashley Street There is one room available in this house: Room B: $185pw - Available Now with 1 week's notice This large room features thick velour curtains for privacy and a queen size bed. It is furnished with a single seat sofa, ample storage space, student desk with views to the side garden and afternoon sunlight chair and lamps If you are interested in this room please contact us today! This is the big house with spacious area. Everyone in the house is studying and doing part time job as well. We are friendly and respect each other private space. Basically, we looking for someone to share this big house, and you are happy to keep the house clean and comfortable. 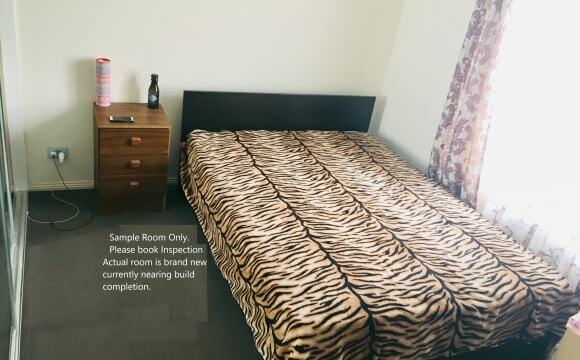 Fully furnished Double Room for rent for 140$/week. Include all bills and internet. House locates 1 km away from Findon Shopping Centre, 4 km away from West Lakes Shooping Centre, 8 km away from CBD. The suburb is very safe and quiet. Hi , I have two rooms to rent on short term they are available until yhe end of july, both furnished. 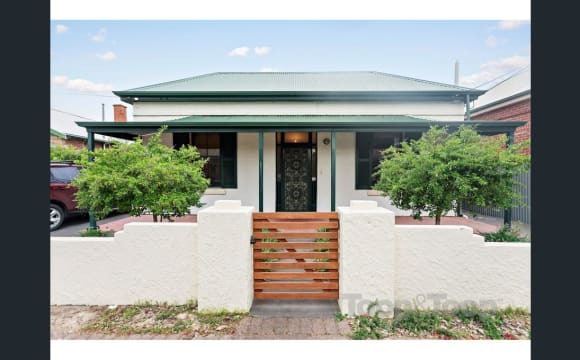 The house is 1915 circa maisonette only 4km from the centre of the Adelaide CBD and well serviced by public transport (bus stop 1min walk). The bedrooms are 3x3metres with 3m high ceiling and polished wooden floors. The lounge kitchen area has a reverse cycle air conditioner for heating and cooling. There is a washing machine for clothes and a clothes line in the in the back yard. The bedrooms are furnished with double bed, storage for clothes. Close to supermarkets, cafes, city and not far from the beach. The house is fully furnished, it has a fully functioning kitchen with a gas stove. The house has ducted aircon. Your room will have a bed, a closet, two bedside tables, a mirror, and a desk with a chair. We are 10 minutes from the city and 10 minutes from Henley Beach. The local pub is a short walk too. Charming Federation home close to city and beach This charming Federation-style brick home is a short walk from the cafes, restaurants, shops and supermarkets of Henley Beach Road, and within easy reach of public transport with direct routes to the city, beach and UniSA and University of Adelaide city campuses. High ceilings and exposed interior brickwork create a sense of space, and the large kitchen with two fridges and meals area offers plenty of room for food preparation. The large main bathroom features a separate shower and bath, plus an extra shower and separate toilet in the good-sized internal laundry with new washing machine. 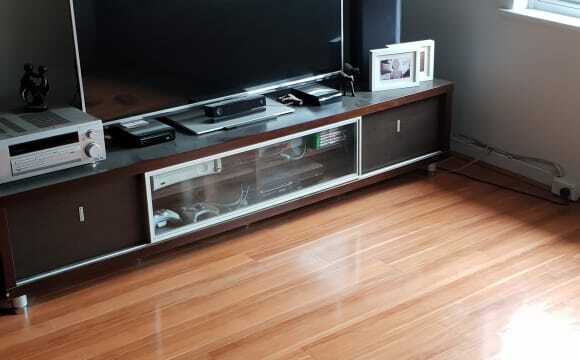 A cosy living area with a 32-inch LCD TV joins the covered back veranda as a great gathering place for housemates. 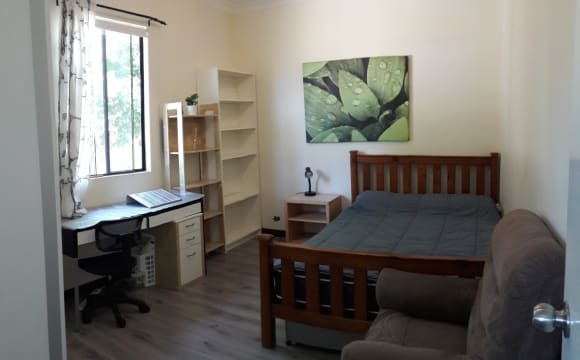 There is one room becoming available in this house: Room B: $184 pw - Available July 15th, 2019 Study under natural light in this homely room with workspace positioned beneath the large window. There’s also plenty of storage space with a wardrobe and additional chest of drawers, plus a queen-size bed, bedside table, armchair, wall mirror, ornate fireplace, nice carpet and floor fan. If you are interested in this room, please contact us for more information! The house has a massive back garden which houses our four hens, and functions pretty well as a veggie patch when we look after it! There are heaps of fruit trees and herbs constantly producing. 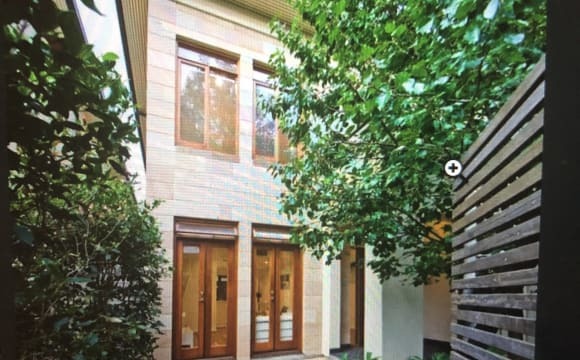 Inside, we have Thebarton's best and most instagrammable bathroom, a generous kitchen with a huge bench to sit and eat breakfast at, and slow combustion fire place in the dining/kitchen area for the cold months.